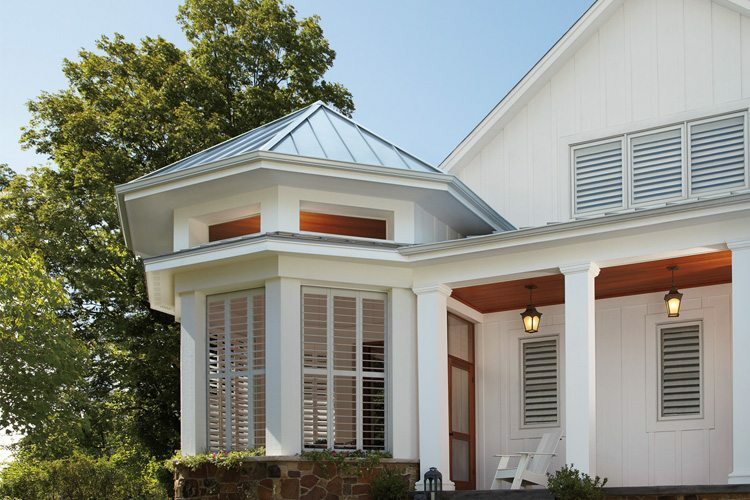 Add value and warmth to your home with an award winning Hunter Douglas Shutter such as the Heritance® Handcrafted Series. 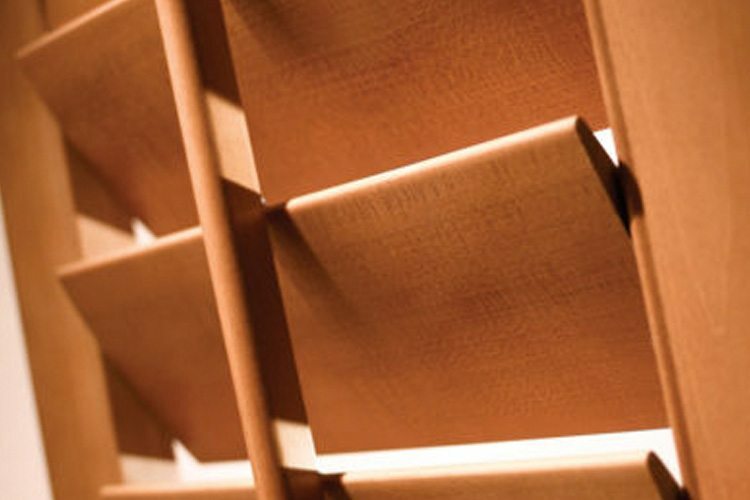 The Heritance® Handcrafted Series collection comes in a variety of wood stains to create any kind of look to match your furniture or design style. 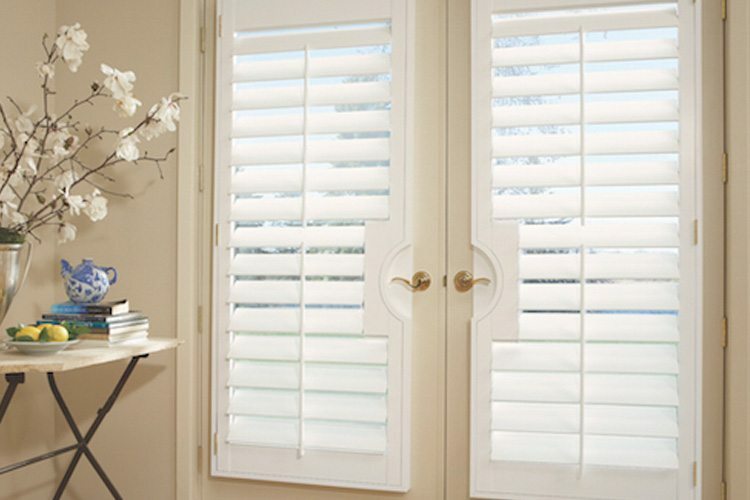 Plantation shutters can be used to cover horizontal or vertical windows. A bi-fold track system is a great option to cover large vertical windows. 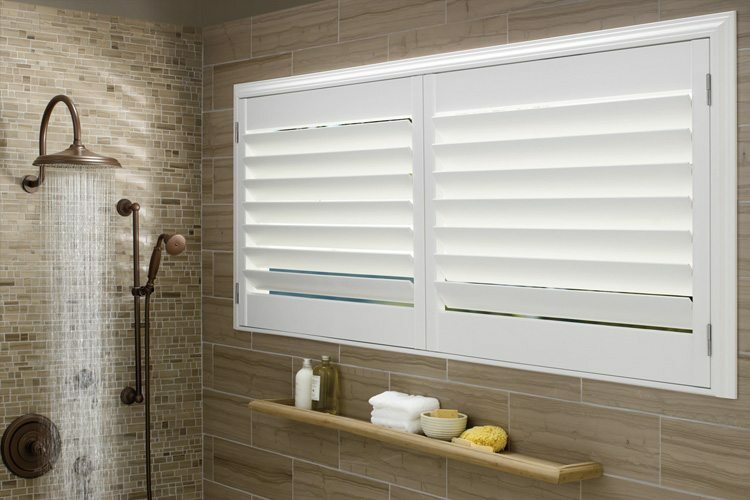 Bi-fold shutters can easily slide across a track similar to closet doors. 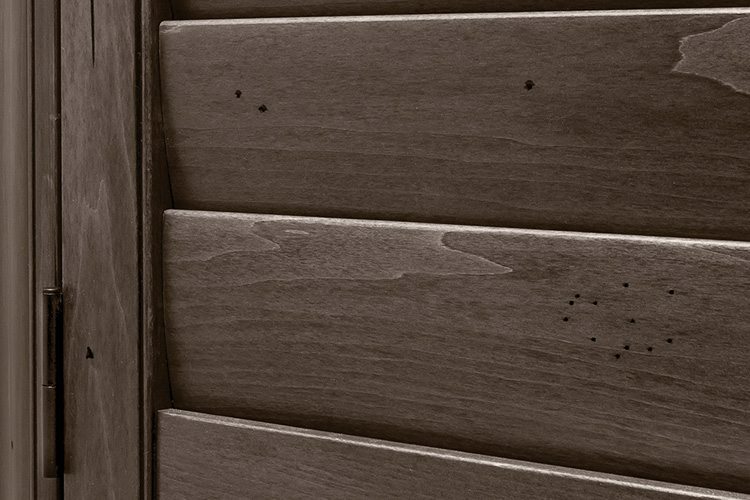 A hinged panel wood shutter is attached to a window frame. 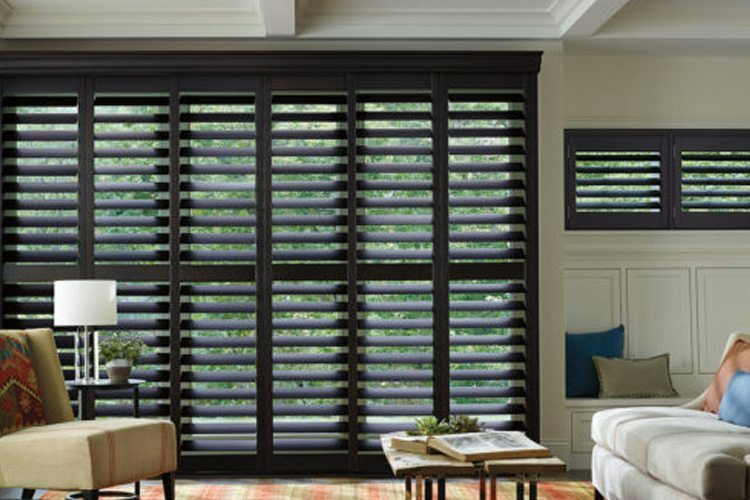 This shutter is a perfect window covering solution if you want an unobstructed view. 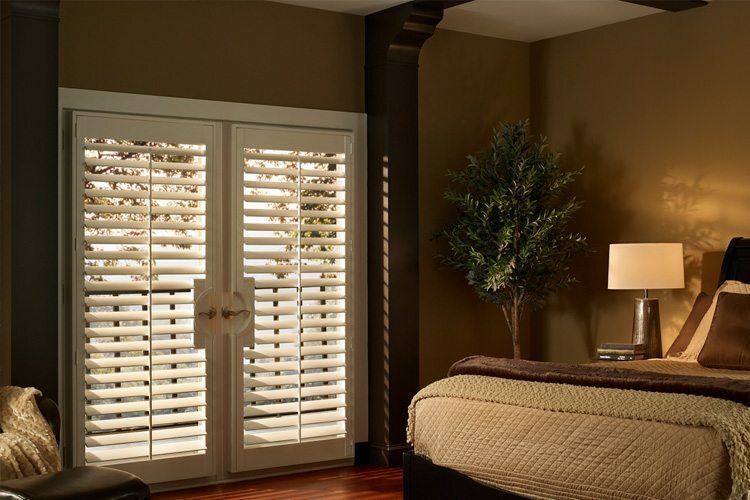 You can open your shutters into the room for complete view of the outdoors. You can still maintain privacy by using the front bar tilt to maneuver the louvers in your desired position. 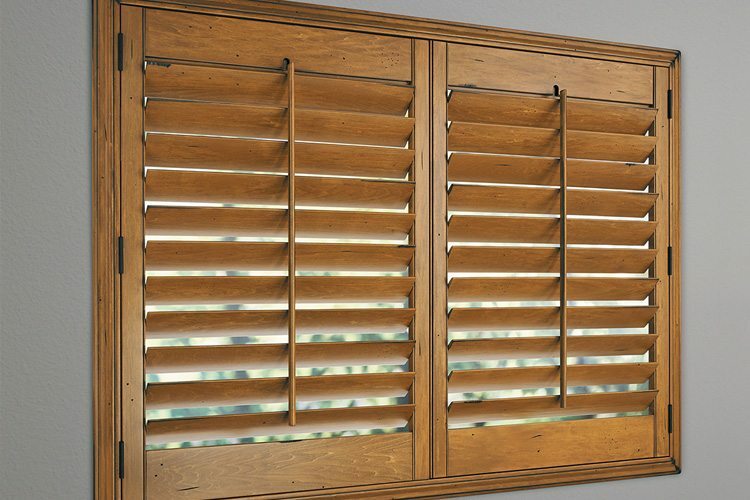 Composite shutters are made of hybrid faux materials with the look of authentic wood. 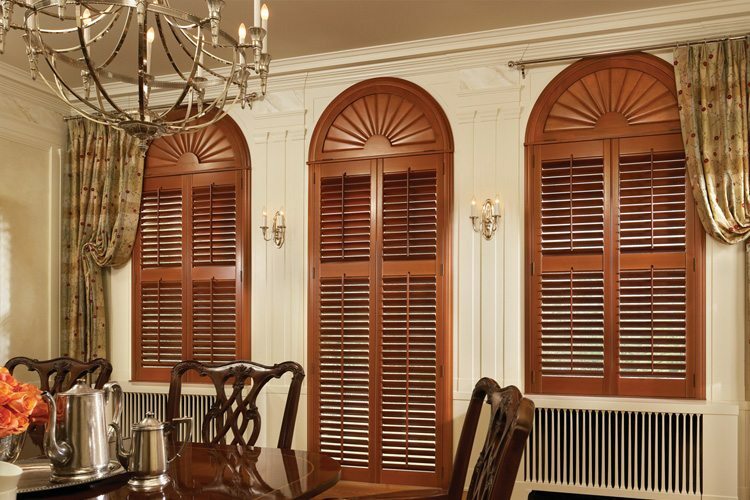 Composite shutters are extremely durable and can withstand humidity and moisture. 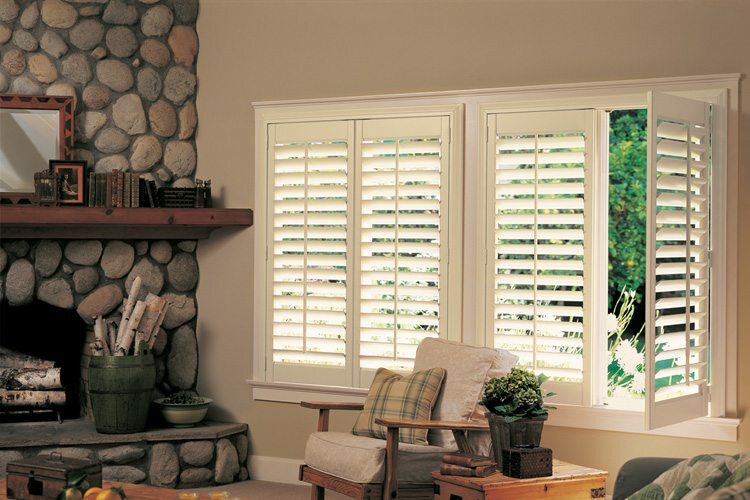 All shutters are built custom to fit your exact window size. 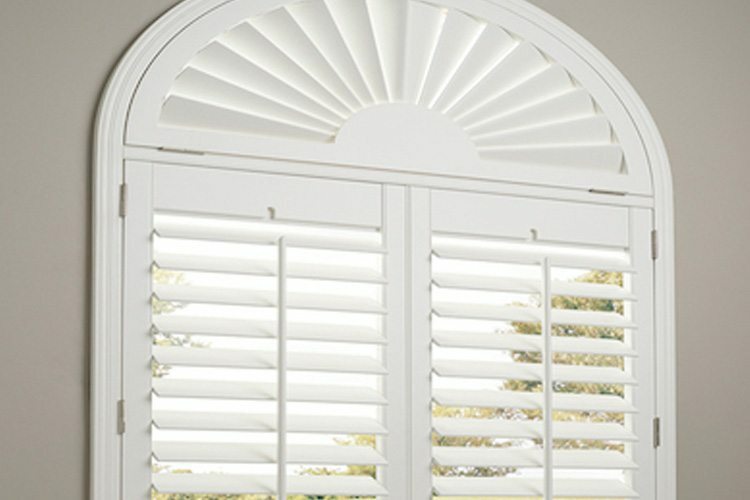 If you have specialty-shaped windows such as arches and angles, a template can be created to measure and install your shutters flawlessly. 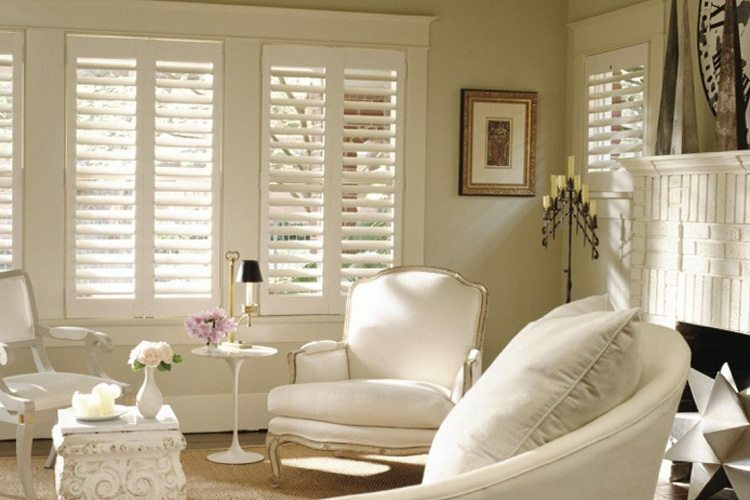 United Decorators shutters are built to to last! Ask about our lifetime guarantee. 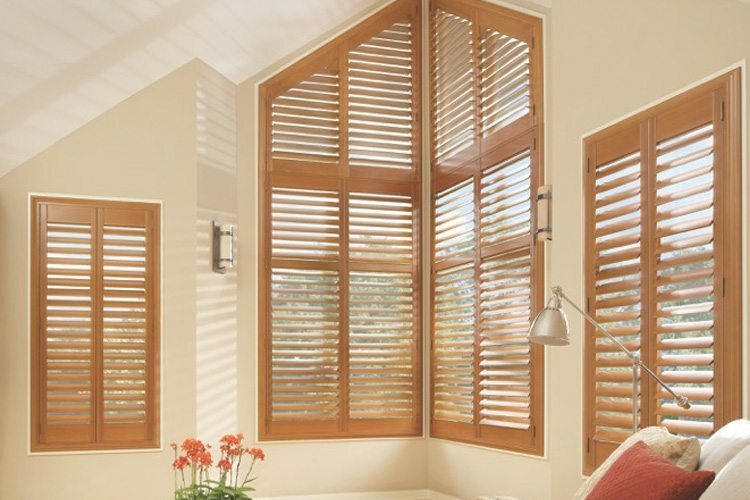 View our gallery of window shutters to see what inspires you and contact us for a free consultation. 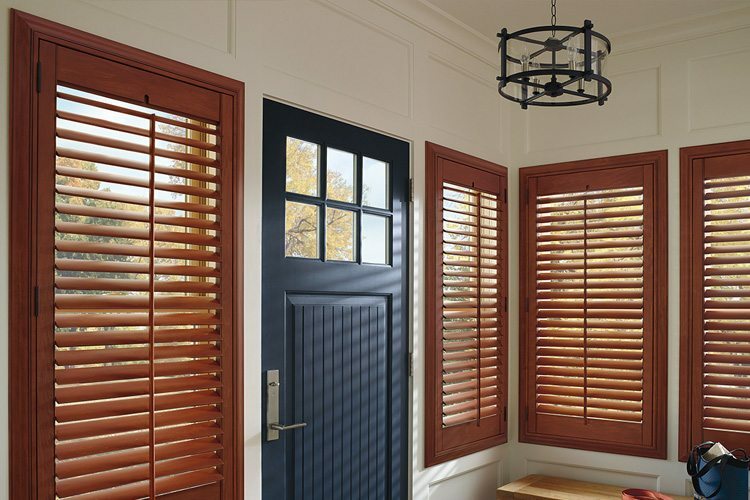 Hunter Douglas Palm Beach™ Polysatin™ shutters have a plantation-style shutter look with durability and beauty. 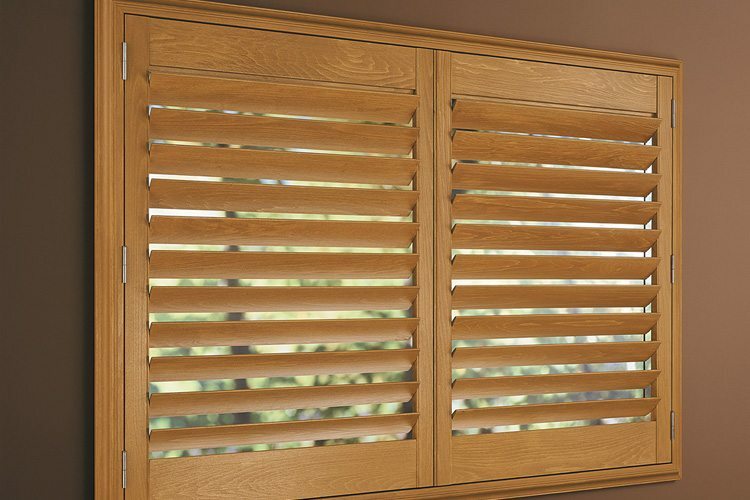 These interior shutters are constructed with a UV resistant Polysatin™ compound which makes them resistant to warping, cracking, fading, chipping, peeling or discoloring ever. 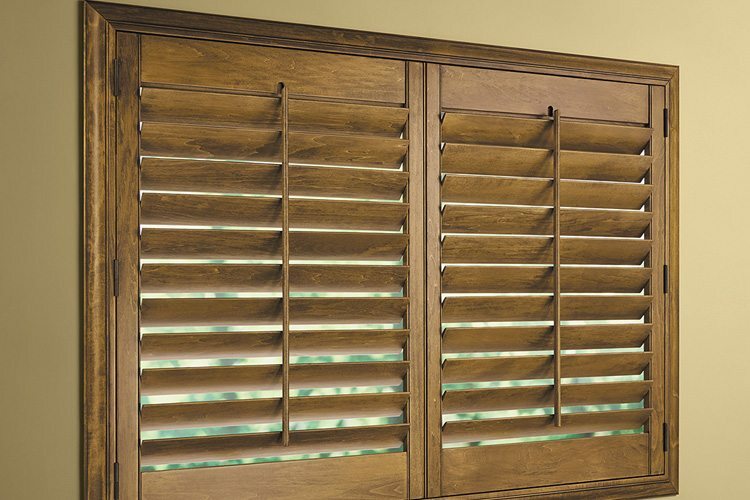 Palm Beach™ Polysatin™ shutters are perfect for covering windows in rooms with extreme heat and moisture. 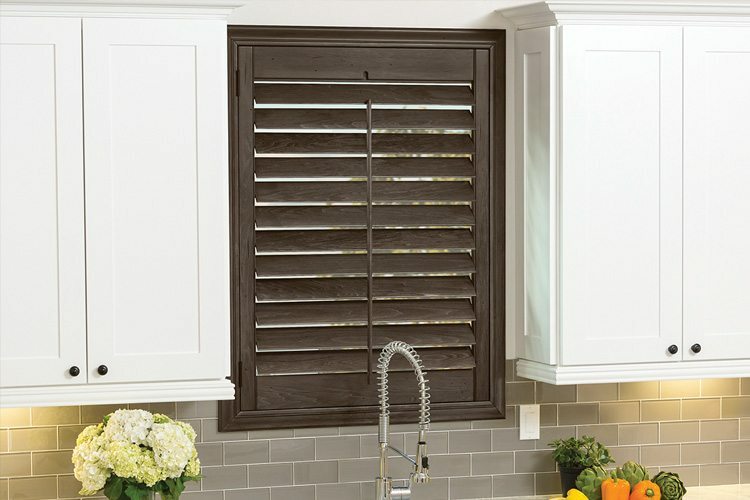 Palm Beach™ Polysatin Shutters™ are ideas for bathrooms and basements where moisture and high humidity is typically present. 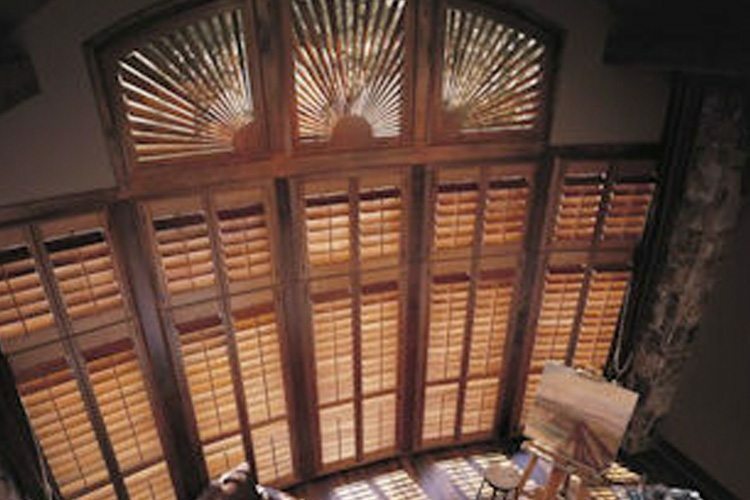 Hunter Douglas interior shutters are available in various slat sizes, colors and operating systems. Front bar tilt allows for easy operation but there are lots of ways to open and close your shutters. 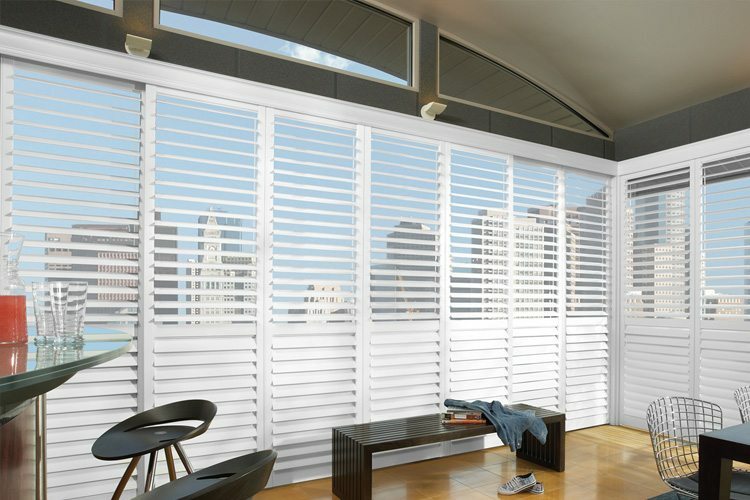 Bi-Fold Track, Bypass Track system and Hinged Panel are also popular ways of opening and closing your window shutters. 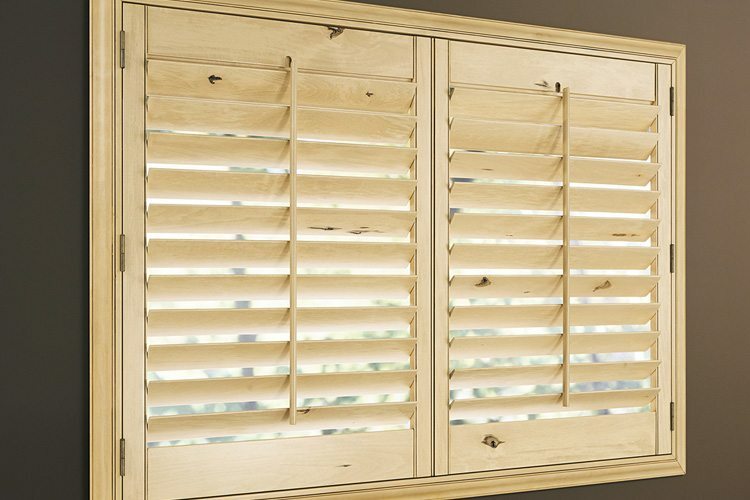 Slide your wood shutters like closet doors, have them fold into your room or attach them to a window frame to open them up to a full view of the outdoors.